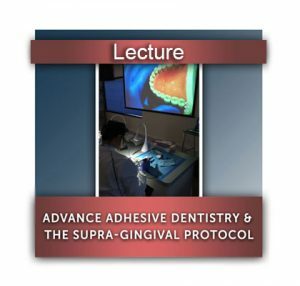 Advance Adhesion "Ruiz & Bertolotti"
Home / Courses / Advance Adhesion "Ruiz & Bertolotti"
Dr. Jose-Luis Ruiz has pioneered the field of supra-gingival dentistry, which allows dentists to use minimally invasive techniques that are healthier for their patients. We offer several courses on this type of dentistry at Los Angeles Institute of Clinical Dentistry & Ruiz Dental Seminars and at events all over North, Central, and South America. Dr. Jose-Luis Ruiz’s teaches practical techniques that are predictable and easy for dentists to understand and apply. Contact us if you would like to register for a course.